Brett M. Miles, CEO of Milestones, Inc., helps high-performers, leaders, business and sales people “get buy-in” so they can produce results and make a difference. He also develops individuals and teams for high performance through coaching, facilitation, and training. Organizationally, Brett assesses organizational cultures, identifies the dominant types, compares those to the current leadership orientation’s future goals and strategies, and then helps the leadership develop and align the organization’s culture with its strategy to ensure future success. Brett has Fortune 500 sales, management and leadership experience in the business services and technology sectors with Oracle Corporation, Lockheed’s CalComp, and Control Data Corporation (CDC). Brett’s early start-up experience includes 21 months with Yahoo’s Resumix, Inc. Additional leadership experience was earned in the United States Army where Brett served as a Captain. After serving his country, Brett entered the fledgling technology industry by marketing computer time-sharing (today’s online applications) with CDC’s Service Bureau Company, a former IBM division. Then he moved into the computer graphic peripheral device industry with CalComp, a Lockheed company as a Senior Sales Representative. Promoted to Branch Sales Manager, he ran their headquarters sales operation for Southern CA. Oracle Corporation in 1987 recruited him to launch their Orange County operations as their District Manager, later promoted to Area Manager for Southern CA and Arizona. In 1991, venturing into a start-up, Brett joined a fellow Oracle Manager at Resumix, Inc. as Regional Manager for the Southwestern United States. Brett achieved 100% Clubs and President Clubs each year he was in sales and management. In 1992 Brett started Milestones, Inc. to follow his passion of learning and sharing to assist individuals and organizations in their efforts to achieve high performance and success. Brett is known for Empowering Leadership™ through his “transformational” (yes, that powerful and effective) coaching and executive team building. As a master coach, Brett inspires clients and their teams to be fully self-aware, to choose to be emotionally evolved, and to commit to high-performance. His Empowering Leadership™ model empowers clients to achieve superior executive presence and performance. The model contains five principles that serve as the foundation for being empowered: Responsibility, Commitment, Authenticity, Contribution, and Getting Buy-In™. This inspiring, challenging, competency-building model is the 21st Century approach to superior leadership and exceptional performance. The combination of increased objective and subjective awareness supports whole-person, integral development, which is necessary to face today’s complex and diverse opportunities and challenges and to create future realities. Complementing his coaching, Brett is highly experienced in sales and in teaching business-to-business strategic selling. During his leadership coaching, he teaches his “Get Buy-In™” methods and skills that correspond to current consultative and relationship selling strategies. Brett empowers clients using a variety of delivery approaches that include executive coaching, facilitation of group development sessions (topics such as Management, Team building, Communications), consulting, and speaking presentations. He works within a variety of industries especially Entertainment, Technology, Finance, Consumer Products, Commercial Real Estate, Sales and Marketing services organizations, Mergers & Acquisitions, Turnarounds, and Start-ups. He holds a Masters in Systems Management from the University of Southern California and a Bachelors in Social and Behavioral Sciences from The Johns Hopkins University. Brett was a Ph.D. student in Human and Organizational Development at the Fielding Graduate University, Barbara, California, completing course requirements but not his dissertation. Life happened and he decided to be on a sabbatical, as of now. As an Executive Coach, Brett was trained by renowned and world-class coach, Fernando Flores, in his 3-year Ontological Coaching program in the mid-80s. Brett is certified through the International Coaching Federation and Fielding Graduate University’s Masters-level Evidence-Based Coaching program. He is certified in Marshall Goldsmith’s Stakeholder-Centered Coaching. Brett is a graduate of the Hendricks Institute’s relationship coaching programs and a graduate of the Authentic Leadership Center’s development programs. He is certified in Performance Management Technologies from The University of Southern California. He is a recipient of the President’s Award, 1997-1999, Chairman’s Club 2001- 2016 and “Trainer of the Year” from Target Training International. He was President of the Sales and Marketing Association of Los Angeles, 2000-2001. Currently Brett is aligned with and expanding his skills with the World Class Speakers Alliance, and the Experts Academy by Brendon Burchard LLC. He is certified in a variety of assessment areas that include behaviors, motivators, thinking acumen, competencies, emotional intelligence (EQ), 360 surveys, and the FIRO-B. For culture assessment, Brett uses the internationally proven, accepted, and validated Competing Values Framework by Kim S. Cameron and Robert E. Quinn. 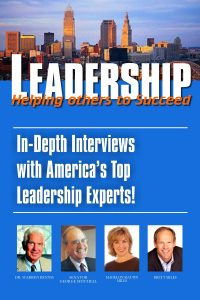 Brett is co-author of the book, Leadership: Helping Others to Succeed. His book, Get Buy-In: The Only Thing That Matters, is due out in 2017. Associations: Institute of Management Consultants (former VP of Education), Association of Professional Consultants, National Speakers Association (Professional Member), American Society of Training and Development, Target Training International, LTD (TTI), (recipient of four Presidents Awards, 1997-2000, Chairman’s Club 2001-2016, TTI Trainer of the Year 2001), Sales and Marketing Executives Association of Los Angeles (President, 2000-2001), and World Class Speakers Alliance.